A well-known white supremacist saw his recent purchase go up in flames on Wednesday. 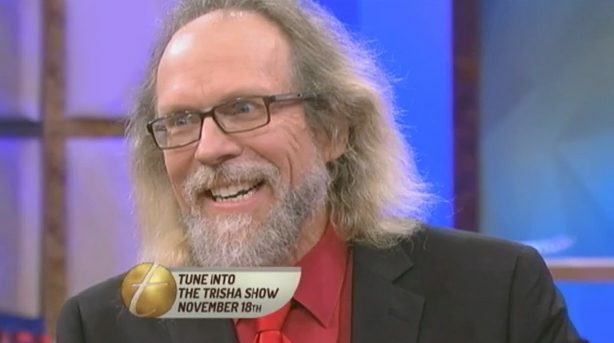 YouTubeWhite supremacist Craig Cobb on The Trisha Goddard Show before it was revealed that he is 14% African American. Known white supremacist Craig Cobb recently signed the deed for a church in Nome, North Dakota. 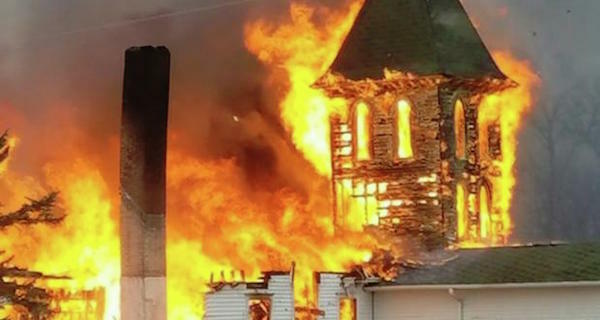 Soon after, the 108-year-old church burned to the ground. Only a charred steeple remained. Was this retribution from angry neighbors or purely an act of God? Police are still investigating. What is known is that the fire was reported around 3:30 p.m. on Wednesday. By 4:25 p.m. the Zion Lutheran Church was “pretty much destroyed,” according to CBS News. Cobb has loudly touted his views as a white nationalist, white separatist, Neo-Nazi, antisemite, Holocaust denier and Donald Trump supporter for years. Cobb had told media he wanted to either live in the building or rent out its rooms and he planned to name it “the President Donald J. Trump Church of Rome,” though the town’s name is Nome. His purchase of the church makes sense, since Cobb is best known for his efforts to transform the town of Leith, North Dakota into an official Aryan enclave. A few years ago, this mission garnered significant media attention (including a documentary called “Welcome to Leith”) and in 2013 he submitted to a live DNA test on the Trisha Goddard show, which revealed that he is 14% sub-Saharan African. Upset by these results, he returned to Leith and threatened a number of the town’s residents at gunpoint, according to the Southern Poverty Law Center. He was jailed for assault and placed on four years’ probation. After his release from custody, Cobb was banned from Leith and said he was “retiring” from the white nationalist movement. Soon after, though, he posted hateful messages on white supremacist websites and began buying properties in other North Dakota towns. The mayor of Antler, Bruce Hanson, quickly moved for the city to spend $35,000 to take over 20 pieces of land up for sale — including the ones Cobb had put money down on — in an effort to keep him out. Cobb has already claimed that the fire was an act of arson and a direct attempt on his life. Arson, Karma. Whatever you want to call it. Next, learn how the spokesperson for the White Nationalist movement changed his mind on race. Then, read about the African American man who convinced 200 racists to leave the KKK by befriending them.